Eating is definitely one of the best parts of traveling! Local food is a great way to represent local culture and its creativity, in the form that is decodable only by our senses! It plays such an important role that it is, with accommodation, probably the spending that eats up most of the peoples budget while on a holiday. But without exaggerating, it is totally worth it! Some countries really are a delight to travel to simply for their food! Some others have devoted their skills as a form of art like in France, or even Vietnam! some others, unfortunately, have not developed the same talent for foodies. But that is part of traveling, some destinations are just better than others in different ways. I love eating that’s for sure! For the record, my preference has always been into healthy eating and I am a devoted carnivore. In general, I like cuisines that are rich in ingredients and flavors like Mediterranean cuisine and Asian Specialties. I dislike cuisines that have too many simple ingredients like potatoes in Russia, Fats in Kazakhstan (Salo) or over overly oily foods like in Indonesia. With this in mind, my map has been created to illustrate the quality of food I have observed in different countries and compared them together. I have made my choice in terms of the local cuisine in general, not about 1 or 2 good dishes that are famous in a specific place. To summarize the top ranked “Jaw Dropping” category, four countries made the list. France is the winner of all. I am always stunned by the innovation that French people can do with the same ingredients found in most countries! It’s like a touch of magic! For example, a roasted chicken leg with vegetables will be meticulously prepared, spiced, roasted at the perfect temperature to keep tenderness, and the vegetables will taste as fresh as they can be! Truly amazing! The second is Japan, I just love their sushi but Japanese cuisine is much more evolved than just that. The third country making the list is Vietnam. Cooking in Vietnam is considered an art-form, and any Vietnamese meal will come with a nice presentation and especially a lot of freshness! Pho soup served with a plate a variety of fresh leaves… mmMMmm. Or my favorite, “Roll Your Own” spring rolls with rice sheets, fresh mint, and beef! Any restaurant in Vietnam is sure to please you, and that, always at an affordable price! 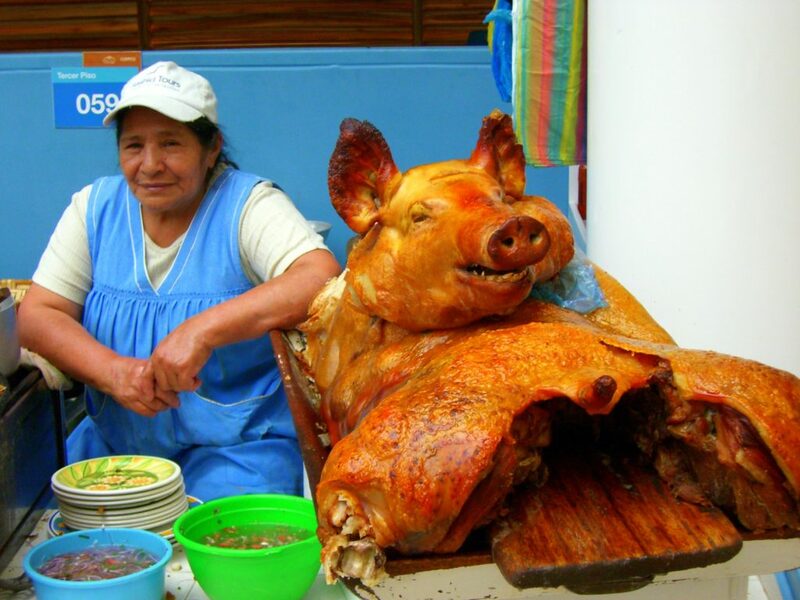 The last country on the list is one that is quickly gaining popularity in the world: Peruvian food. Base on a variety of fresh seafood, Peruvian ceviche is a personal favorite and I often try to find some Peruvian restaurants while traveling in cities around the world. If you haven’t tried already, “Leche de Tiger” is a must! Cuisines that make the “incredible” category are Mexico, Argentina, Spain, Italy, Greece, India, Thailand, Laos, and Korea (both south and north). A Gourmet would include any of these countries to its itinerary to and would happily satisfy its pallet! 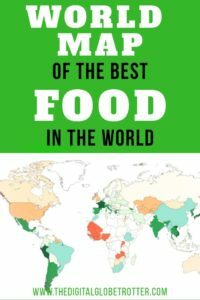 On the other end of the specter for worst foodie countries, I have designated several countries of West Africa, simply because finding food is just so hard sometimes, that many times you rely on bread and bananas (which is where I started eating bread and banana sandwiches and still do so today!). On one of my western African adventures, we found so few meat on our 4 months long trip that I can only remember the 2 times we bought live chicken or bought a goat from a local Malian in Bamako, which we gladly skinned and roasted over a bond fire). 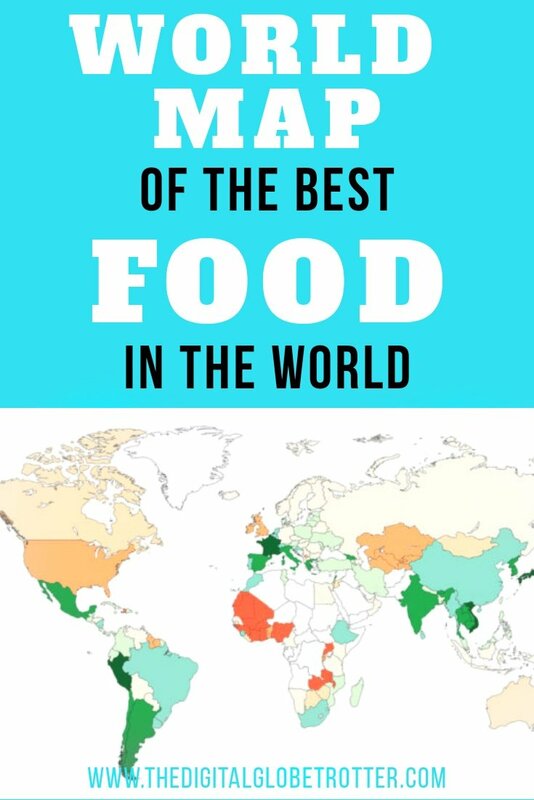 Most English speaking countries such as USA and CANADA are not good for their local food. Being from Canada myself, of course, I can name many local delicacies that I swear are mouth watery! But they are usually family traditional meals we eat during special events such as Christmas and new years (like tourtiere from my grandmother). But in general, fast food makes the most of people’s meals. Keep in mind that you can definitely find any kind of restaurants from all over the world and eat very well in most of North America, but I have abstained from considering this factor and focused mainly on local traditional dishes. Tagged backpacker, backpackerlife, backpacking, backpackingdream, ceviche, foodies, foodlovers, france, globetrotter, japan, peru, remotework, restaurants, rtw, solotravel, Travelling, worldphotography, worldtravel.